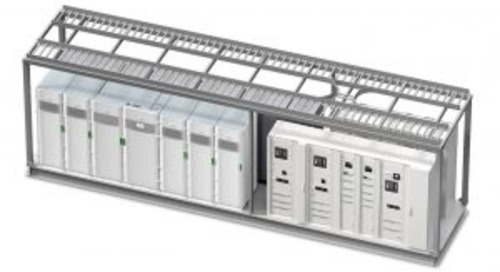 Schneider Electric Prefabricated Power Skids offer the best solution for scaling up data center power quickly. Intended for indoor, large scale applications, skid-mounted prefabricated modules allow for larger power ranges within a small power-dense footprint. 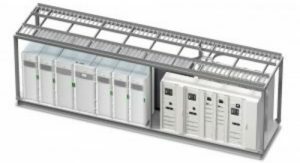 The skid-mounted modules feature either Symmetra MW or MGE Galaxy 7000 UPS for best-in-class efficiency and are fully integrated to include switchgear, batteries, ATS and can include StruxureWare for Buildings Operation for a fully integrated management system. Choose from one of the base designs or customize as needed for your specific application.